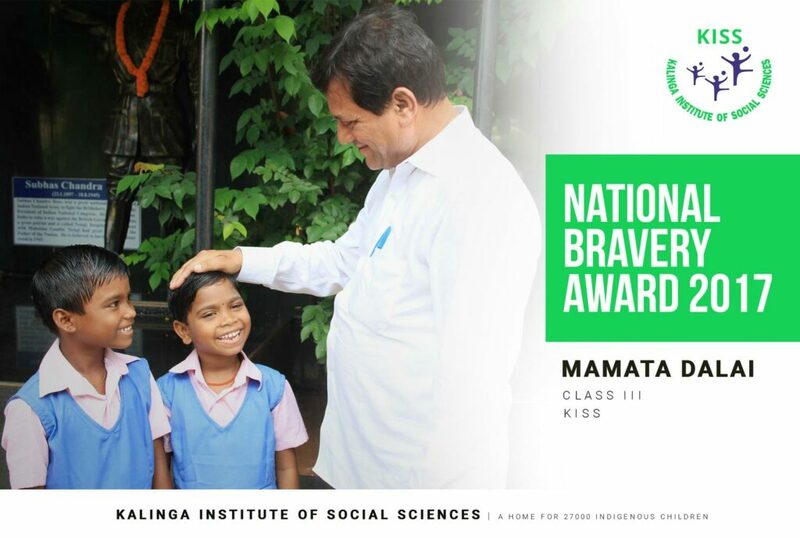 Mamata Dalai of Kalinga Institute of Social Sciences (KISS) deemed-University has been selected for the National Bravery Award. Mamata Dalai, a native of Bankuala village under Dangamal Gram Panchyat in Kendrapara district has been selected for the prestigious award for saving her elder sister and cousin Ashanti from a crocodile’s mouth. Prime Minister Narendra Modi will hand over her the award, being given by the Indian Council for Child Welfare, on the occasion of the Republic Day – January 26. Mamata is slated to go to New Delhi on January 16 along with her sister and parents. Dr. Achyta Samanta, the founder of KISS & KIIT, has congratulated the class three student for being selected for the Bravery Award. Bankuala villagers along with the Dalai family also expressed their great pleasure for the achievement of the minor girl and thanked Dr. Samanta for educating the girls freely. said Ramesh Chandra Jena, Sarpanch of Dangamal GP. The eight-year-old Mamata hit the headlines after rescuing her elder sister from a crocodile while taking bath in a pond adjacent to their house on April 4. Chief Minister Naveen Patnaik and Kendrapara district administration had earlier felicitated both of them for their bravery showed to escape from the 5-ft long wild crocodile.